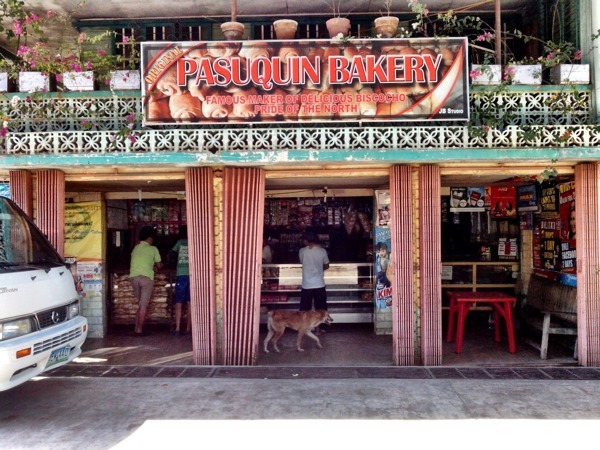 6th and last stop of our Ilocos Norte adventure is Pasuquin! 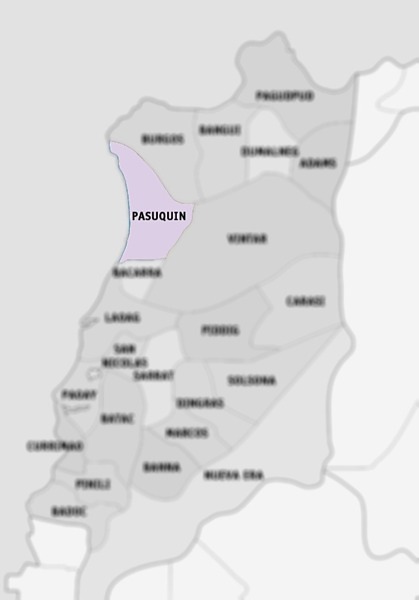 Pasuquin is less than an hour’s drive from Laoag City based on my watch. 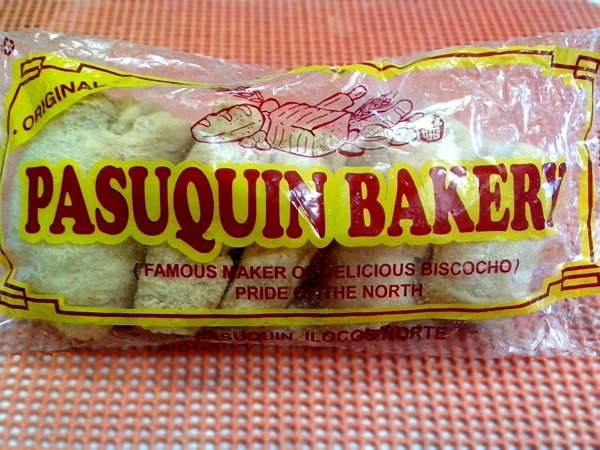 We went to Pasuquin not just to wander but to also buy the “Pride of the North” – Pasuquin Biscocho from Pasuquin Bakery! I didn’t have the slightest idea that this town sells biscocho. 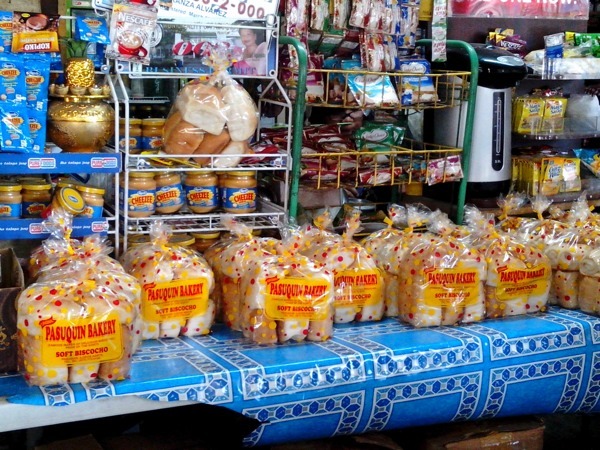 Whenever I hear about biscocho, the first (and only) thing that comes to mind is Iloilo’s sugary biscocho. I grew up eating this especially when my relatives from Iloilo would fly in to visit us here in Manila, bringing boxes of these goodies in tow. We parked right beside the bakery so we can take a good shot of the bakery’s façade. It looked just like any other local bakery – rustic, ordinary, not to mention the fact that it also doubles as your typical sari-sari store. 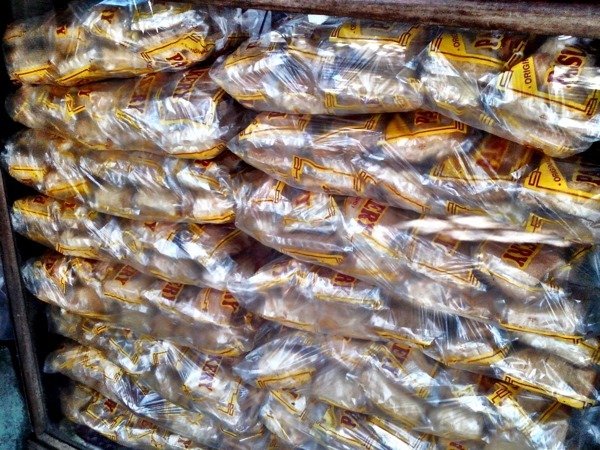 A few customers were also buying biscocho in bulk when we arrived there. I waited til we arrived in Manila to open a pack of my toasted biscocho. Do not compare Pasuquin’s biscocho to other common biscochos. These are not rolled in sugar but somehow still has a hint of sweetness and another flavor that is very distinct to the taste – star anise. I was kinda weirded out at first as I didn’t quite like the taste of star anise on the biscocho. I can somehow only tolerate its flavor if I am eating Chinese food. But when I partnered this biscocho with my freshly brewed coffee, it wasn’t that bad at all. Perfect for an afternoon snack. On the other hand, the soft biscocho is like your usual pan de sal – nice and moist but with the same flavor as its toasted counterpart. This should be eaten with some butter or jam. I prefer the soft ones. It’s the kind of food that you either love or hate. In my case, the former. 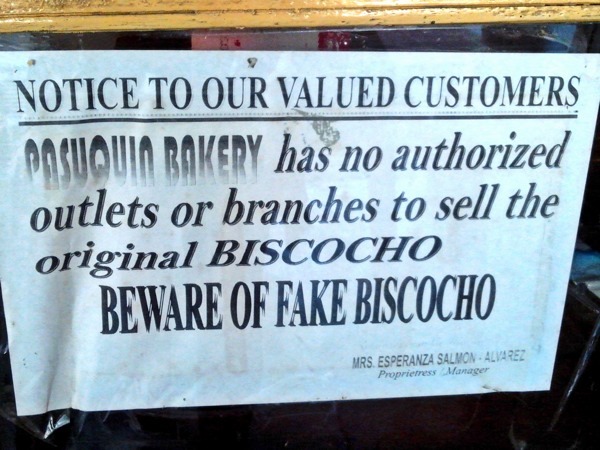 By the way, you will also see this sign posted on one of the glass stands at Pasuquin Bakery. Seems that fake biscochos have been making the rounds already. Best beware of these imposters! To read my Burgos post, click here. You are Here >> Home » Food » Pasukin Ang Pasuquin!